The original design! Our R53 Mini Cooper S Cold Air Intake provides the most power through the highest efficiency of any intake on the market. - Simple, Quick and Clean install, no trimming or cutting required. 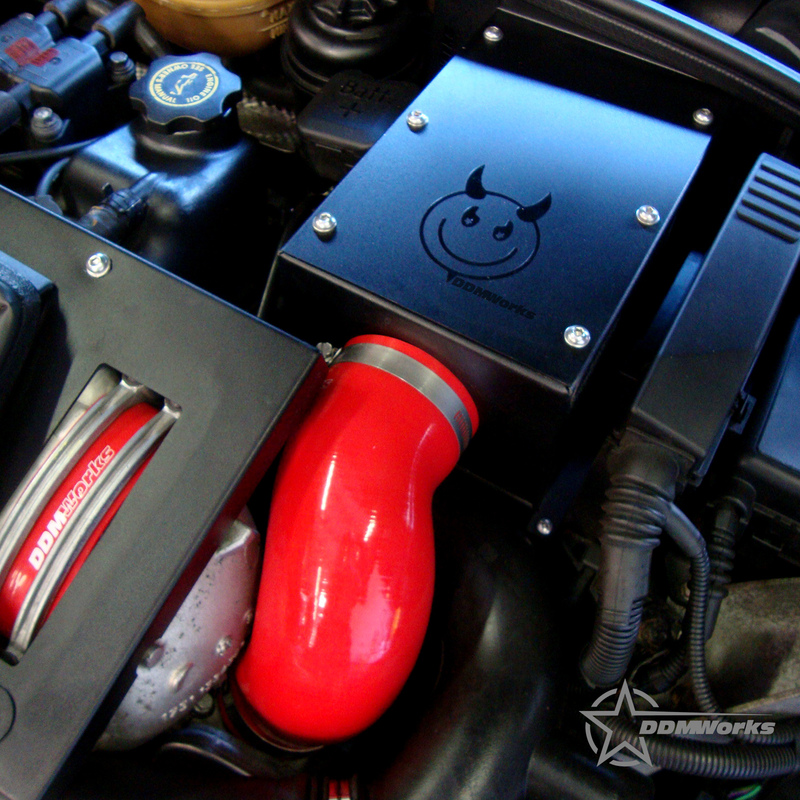 - The DDMWorks design is the original and is still the best performing and fitting closed intake design on the market! Power and efficiency are achieved by removing bottlenecks and inefficiencies, this is true for any system, and your R53 Mini Cooper S is no different. 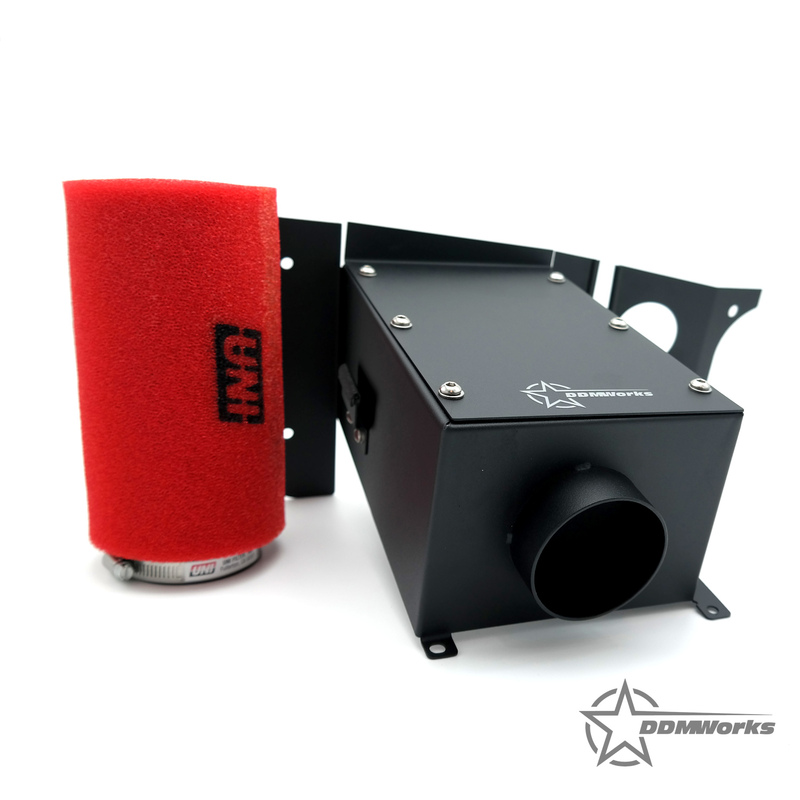 The DDMWorks design is the original and is still the best performing and fitting closed cold air intake design on the market! Our custom designed UNI dual stage filter provides vastly more air flow with superior filtering over paper or cloth filters, and can be cleaned and re-oiled for a lifetime of service. Completely sealed from the engine bay and open to the pressurized region at the cowl, our R53 Cold Air Intake force feeds your supercharger with more fresh, cool air than other intakes on the market. This also makes it the ideal intake for cars with a supercharger reduction pulley. Installation is quick and easy with simple hand tools, and since no parts need to be cut or destroyed, going back to stock is no problem. 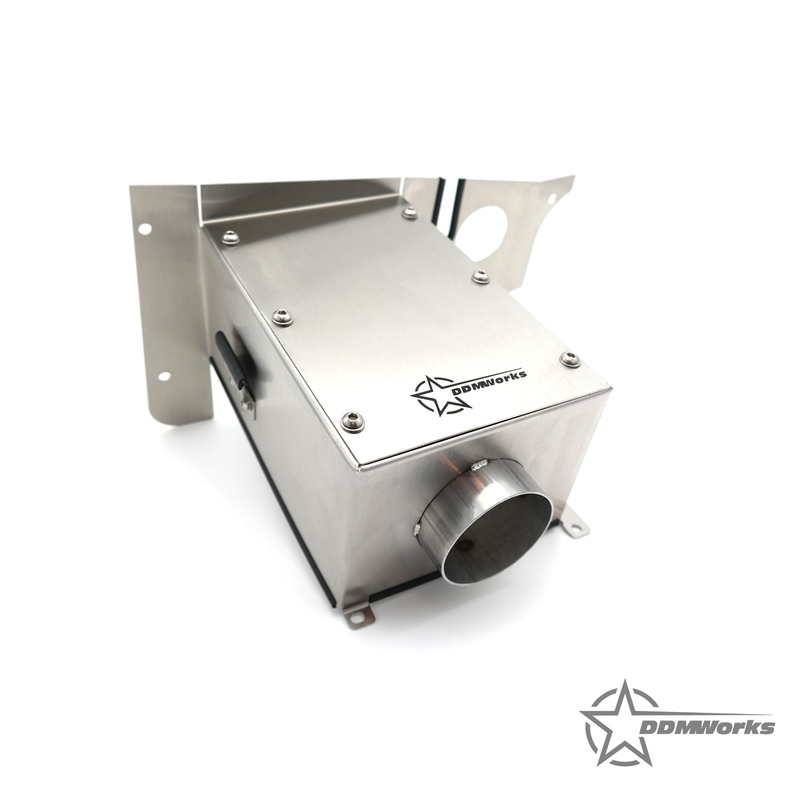 Available in stainless steel or black powder coat finish, the DDMWorks Cooper S Intake will impress you with looks and performance! Now available ... DDMWorks silicone intake tube! Intake tubes available in Black or Red. Available in Stainless Steel or Black Powder coat. All hardware for installation is Stainless steel and included. Simple, Quick and Clean install, no trimming or cutting required. Truly original! DDMWorks was the first intake on the market to be completely sealed from the engine bay! I was running the stock airbox with a K&N panel filter and thought that was pretty good. When I received this CAI from DDMWorks you can see and feel the quality. The box and the Uni filter made a "HUGE" difference in performance. The way it's made is A+. This company know what they are doing with CAI's. I will be ordering the R53 diverter next!! Q: Does this come with the Intake tube or not? Q: I live in California and wanted to know does this item come with a carb oe sticker if you get the k&n filter?